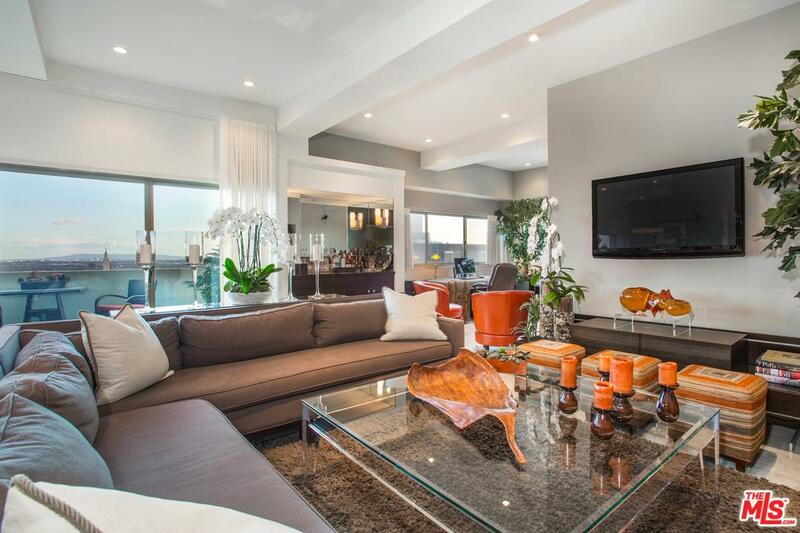 A stunning warm contemporary and remodeled 2+ Den condo with sweeping city lights views to the ocean at the prestigious Crown Towers. Gourmet Kitchen with stainless appliances and breakfast bar. Grand Living and Dining areas with adjacent Den or Home Office. High ceilings with recessed lighting. Spacious Master Suite with luxurious Master Bath. Second Bedroom with bathroom in hallway that doubles as Powder Room. Lots of windows and closets. Terrace. Pool, Gym, Concierge and Valet Parking.